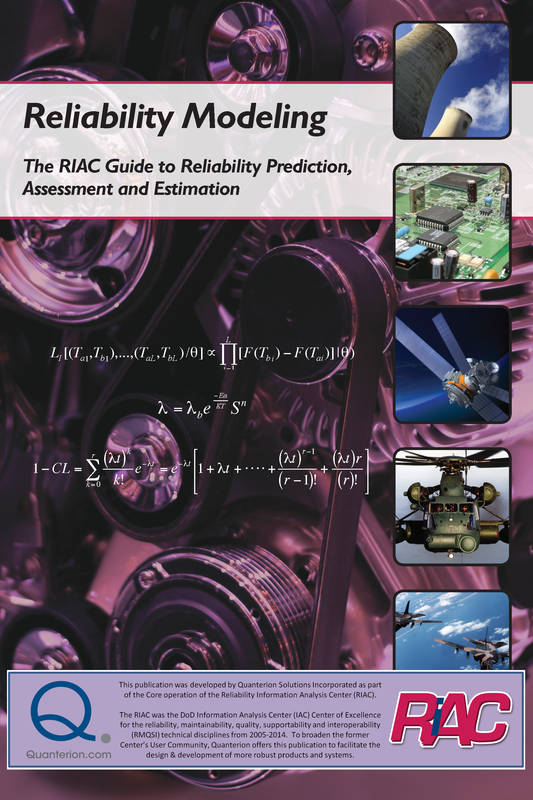 The intent of this book is to provide guidance on modeling techniques that can be used to quantify the reliability of a product or system. In this context, reliability modeling is the process of constructing a mathematical model that is used to estimate the reliability characteristics of a product. The intent of this book is to provide guidance on modeling techniques that can be used to quantify the reliability of a product or system. In this context, reliability modeling is the process of constructing a mathematical model that is used to estimate the reliability characteristics of a product. There are many ways in which this can be accomplished, depending on the product or system and the type of information that is available, or practical to obtain. This book reviews possible approaches, summarizes their advantages and disadvantages, and provides guidance on selecting a methodology based on the specific goals and constraints of the analyst. While this book will not discuss the use of specific published methodologies, in cases where examples are provided, tools and methodologies with which the author has personal experience in their development are used, such as life modeling, NPRD, MIL-HDBK-217 and the RIAC 217Plus methodology.